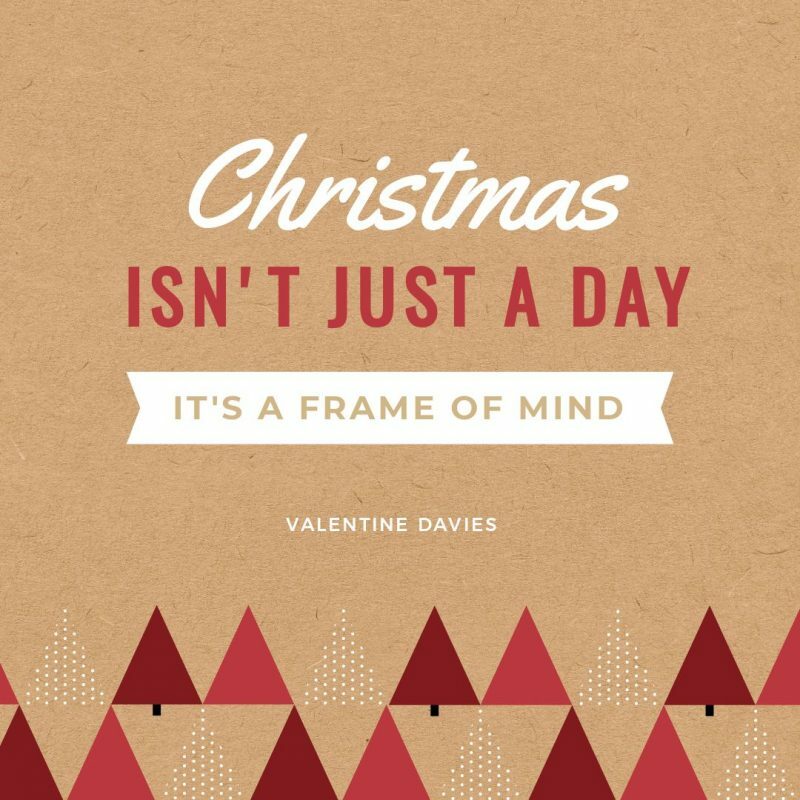 Tis the season to be jolly and these 25 Christmas Quotes are our stocking-filler gift for you. 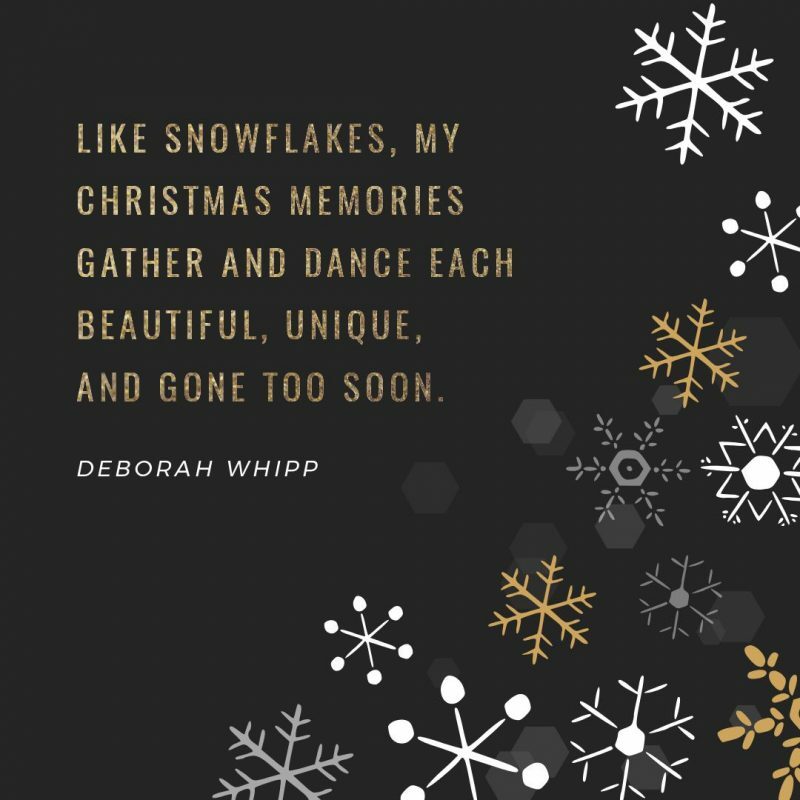 Join in the December festivities by creating your own cheerful holiday social media posts using these Christmas quote templates – so that you can spend more time with family and friends. It’s beginning to look a lot like Christmas and Santa Claus is coming to town, so you better watch out that you don’t leave it too late. 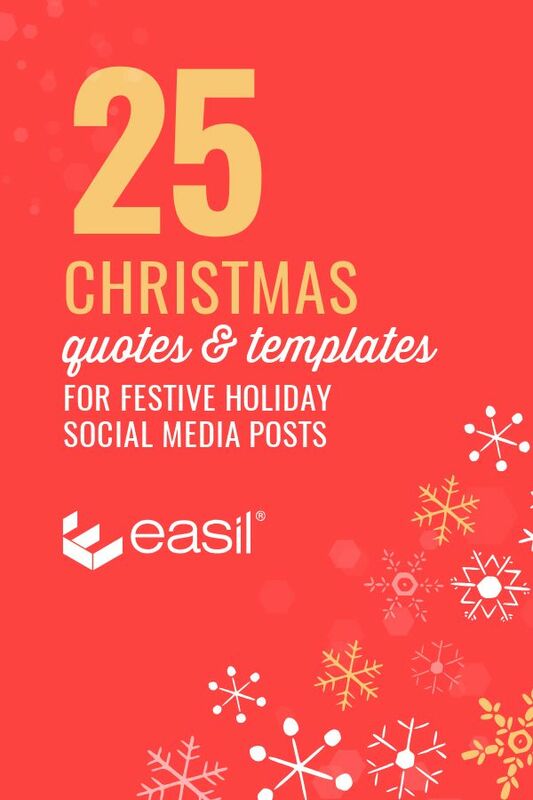 Spread some joy to the world with these 25 Christmas Quotes and Free templates from Easil. It’s easy to magic up a festive social media post that will have everyone rockin’ around the Christmas Tree. It would be Rudolf us not to include a few punderful quotes that yule love too. Use the quote templates straight from Easil. You’ll need to have an Easil account to access the templates (it’s free to get started). Then simply click on any template below to start designing. Find an Easil template that you can use to create a pro-quality social media post. We’ve got sleigh-full of Christmas Templates ready for you to use in posts. You can also check out our Christmas flyers, posters and menus here. Choose a new image that fits your quote. Check out this post to find out how to search on unique and Christmas-themed stock images. Create the GIFt of Christmas. Or should we say, the ‘GIF’ of Christmas. Read our post all about Animated GIFs here to find out how to create a GIF for the holidays. 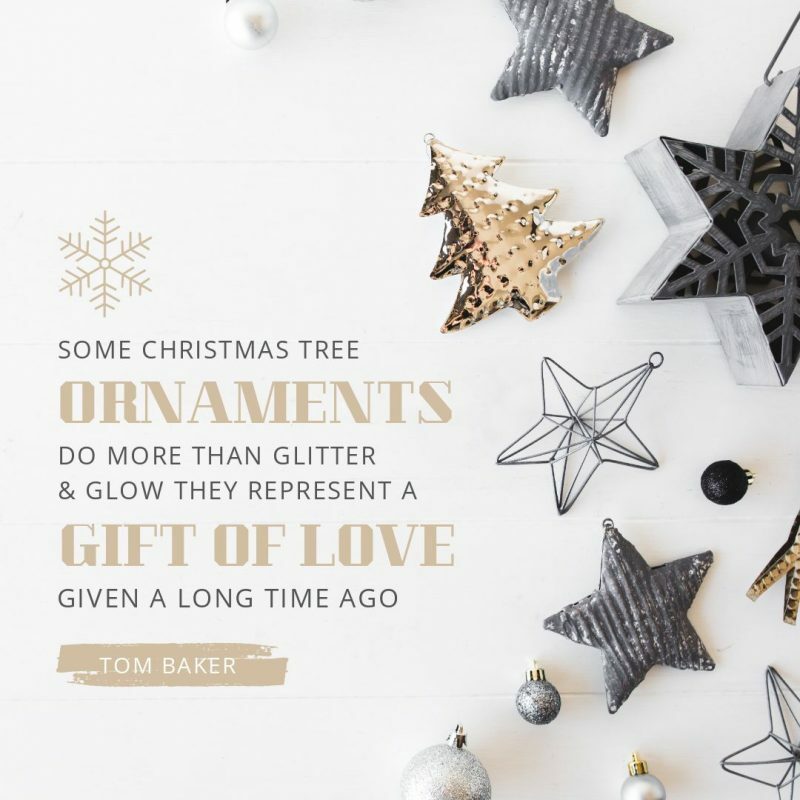 Find some Holiday Fonts to use in your designs. One of the best ways to do this is to find our Christmas-themed templates in Easil and click on the fonts to see what our designers have used. You can also check out the designs in this post. We’ve used a lot of Christmas fonts in our templates! 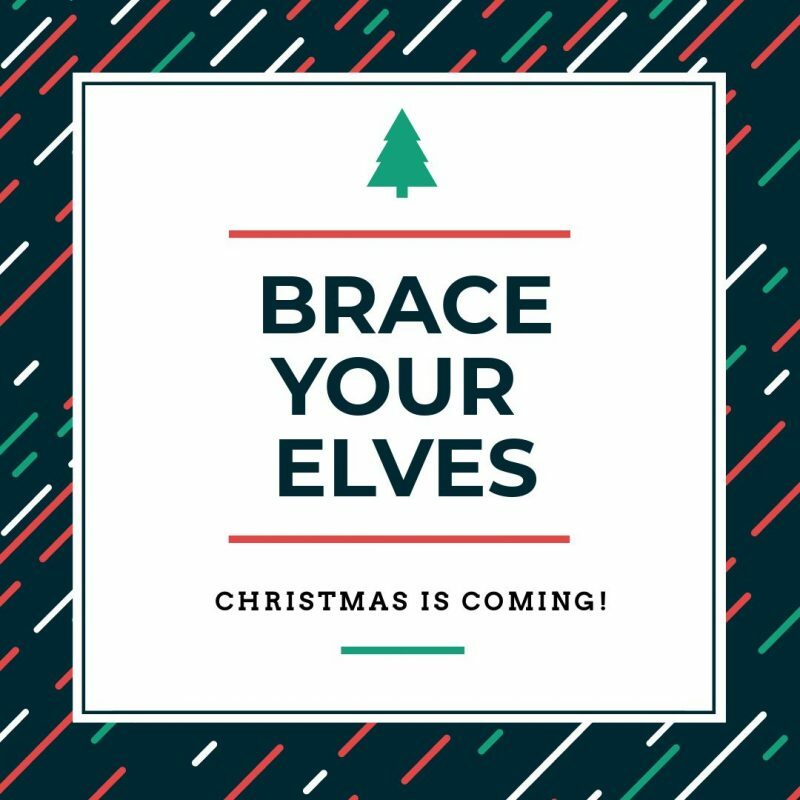 If you want to download your own fonts and upload into Easil, try finding Christmas or Holiday-themed fonts that are licenced for commercial use. 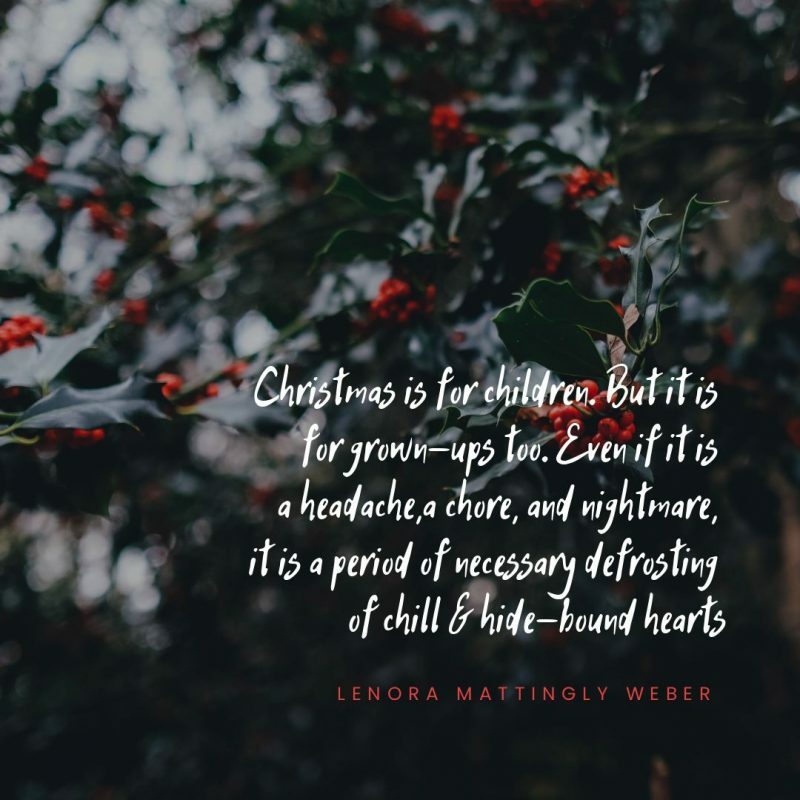 Let’s get our Jingle Bells on and read through this post to get inspired by the Christmas Creative Spirit of our Christmas Quotes. 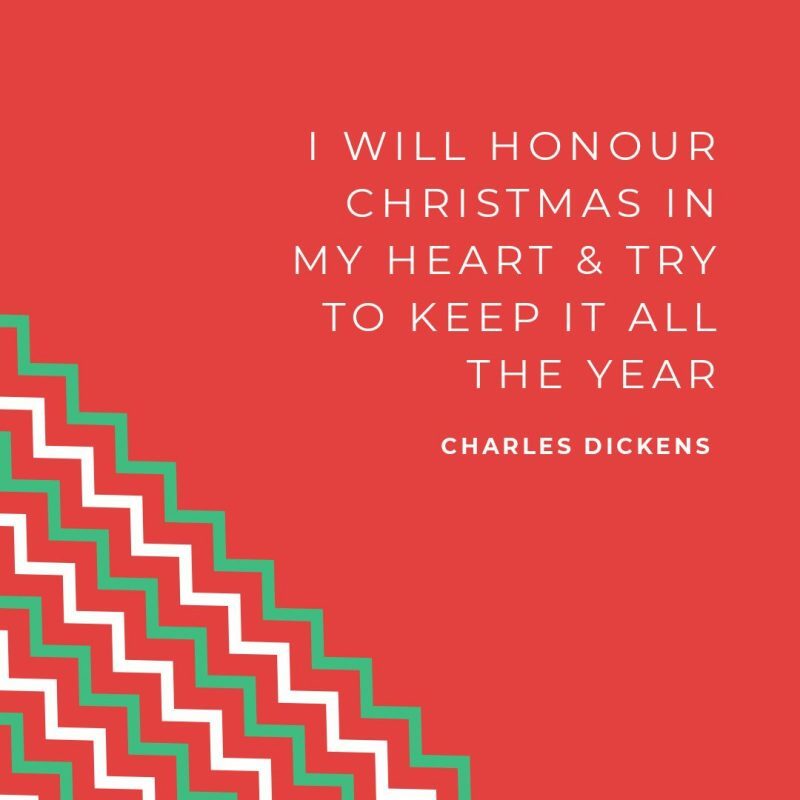 What would a list of Christmas Quotes be without some reference to Charles Dicken’s famous Christmas convert, Ebenezer Scrooge, in A Christmas Carol. 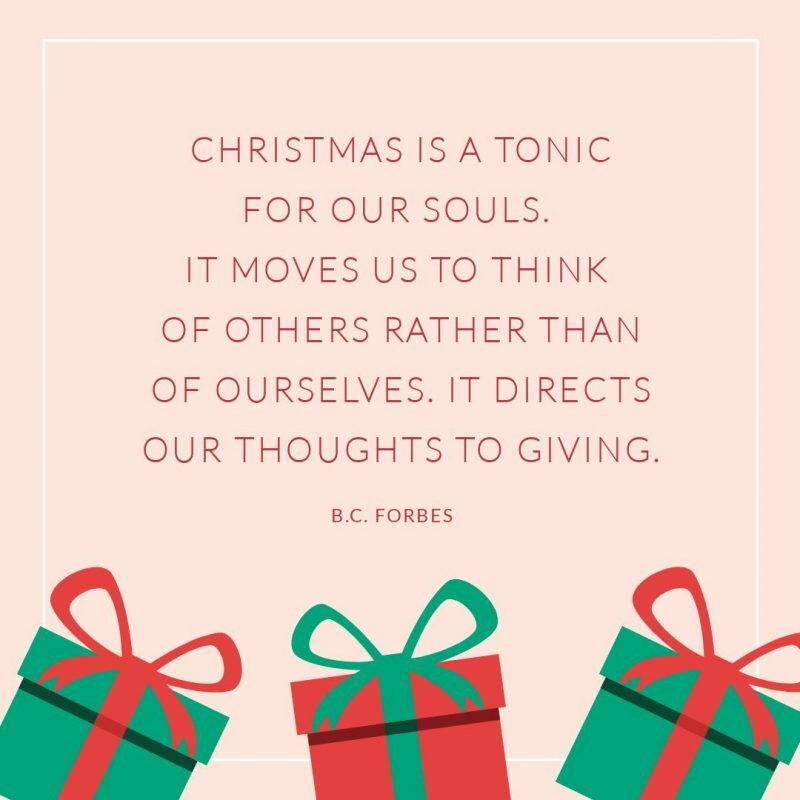 Bertie Charles Forbes, who founded Forbes magazine, reminds us that Christmas is about giving rather than receiving. This warming quote is great to use with an image of fire or candles. A fun fact for you: Washington Irving is the 19th Century author whose short story was made into the movie “Sleepy Hollow” starring Johnny Depp. 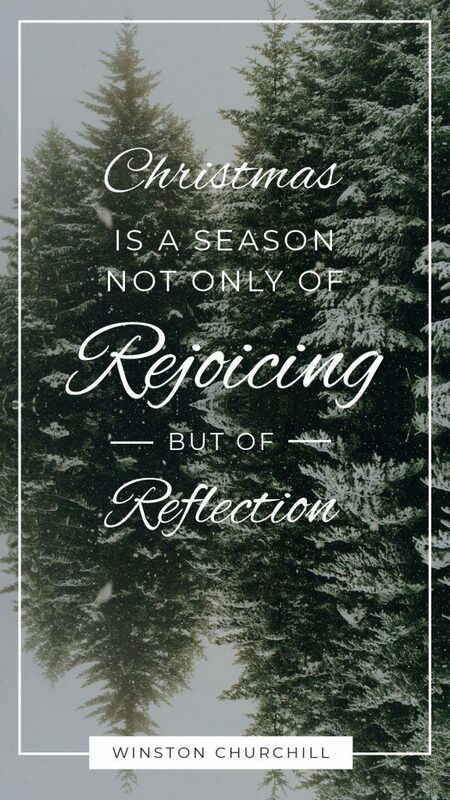 Christmas marks the ending of the year, so Winston Churchill’s Christmas quote rings true. 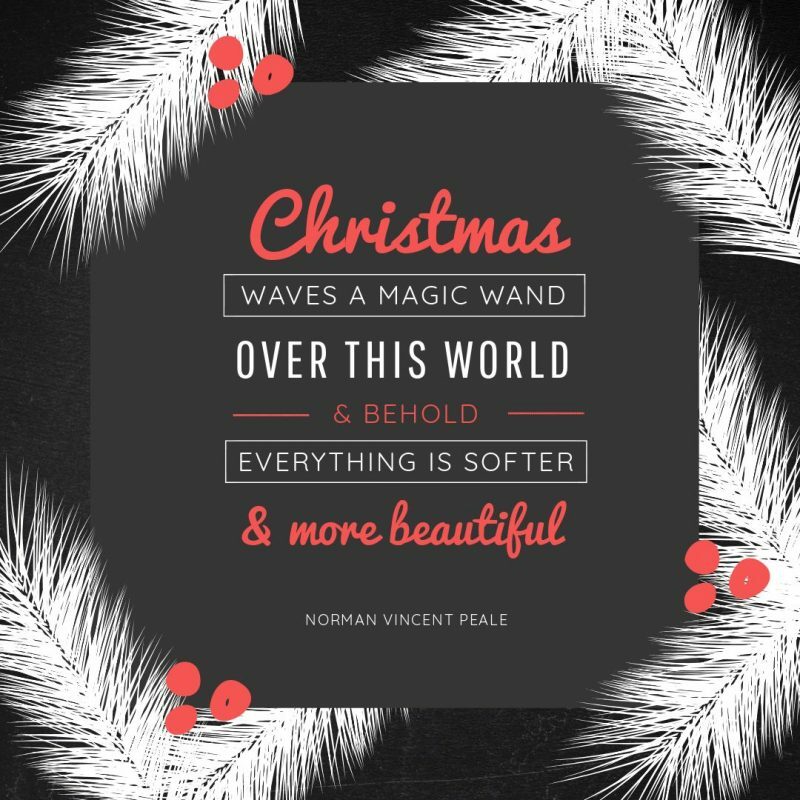 Christmas is a magical time and this quote captures this beautifully. We wonder if Norman Vincent Peale (who made positive thinking popular) was dreaming of a white Christmas when he wrote this. Either way, it makes for picture-perfect, snowflake-filled Christmas quotes. Who doesn’t get a teeny bit excited about Christmas? 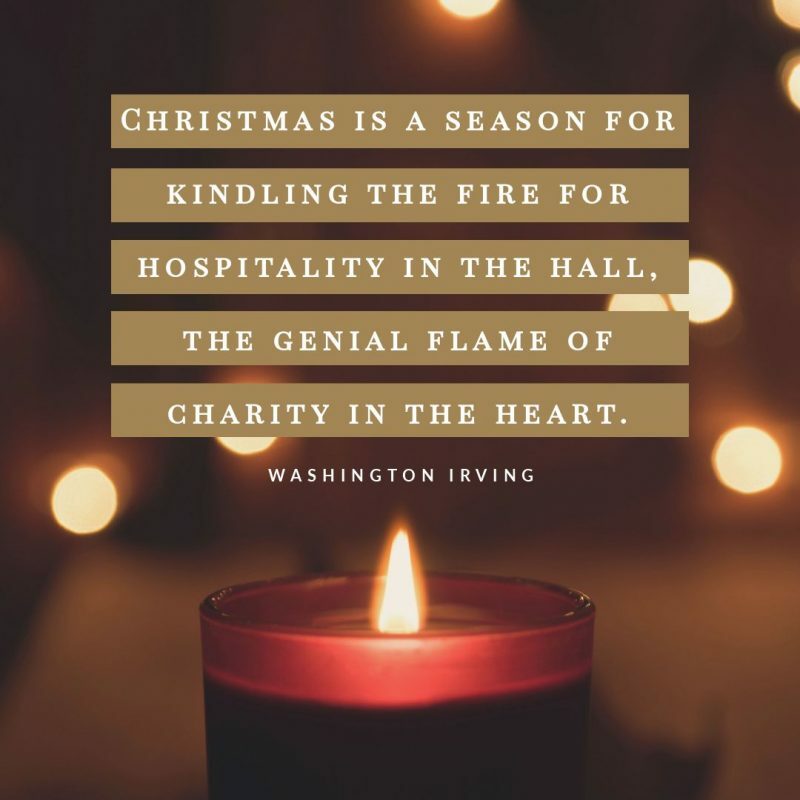 This beautiful Christmas quote is a great reminder about opening up our hearts again to others. These memorable lines in Frank Capra’s “It’s a Wonderful Life” (1946) will strike a chord with anyone who watched this black-and-white classic. It’s a Christmas movie inspired by Dicken’s “A Christmas Carol” has become a staple for holiday season television. The film was a box office turkey, so much so, that the studio let the copyright lapse by the Seventies. This meant the film was free for television programmers to schedule and it’s been a hit on Christmas television ever since. 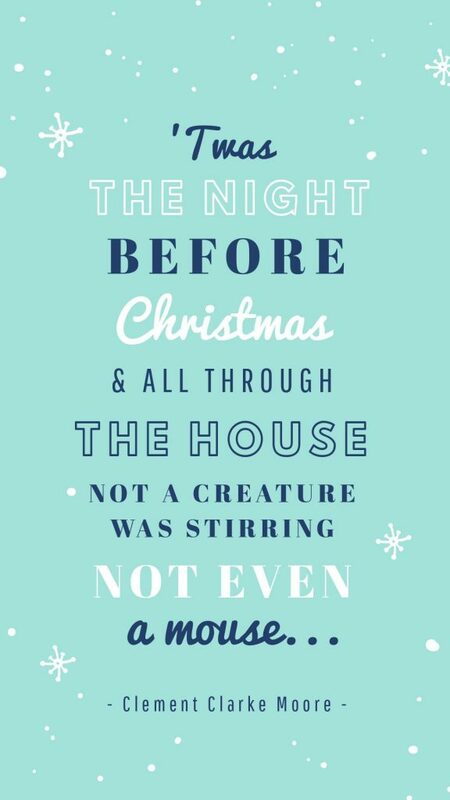 No list of Christmas quotes would be complete without some reference to the rhyming verse of “How the Grinch Stole Christmas!” by Dr. Seuss. Another quote from a popular Christmas movie that puts you in a festive spirit mood, whether you love the original or the remake. 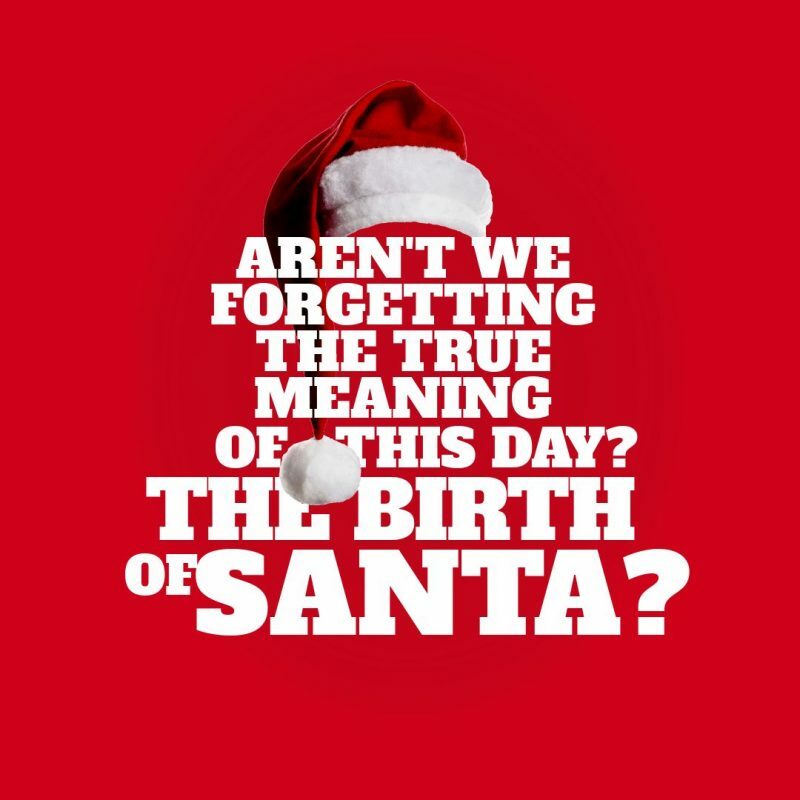 Kris Kringle, who turns out to be the real Father Christmas, says these words in “Miracle on 34th Street”. And he SHOULD know. Bart Simpson says this ironic Christmas line as a reminder to us that often the real reason for Christmas is forgotten with all the hype of Father Christmas and gifts. Okay, hands up if you think you know a man who only starts shopping on Christmas Eve! 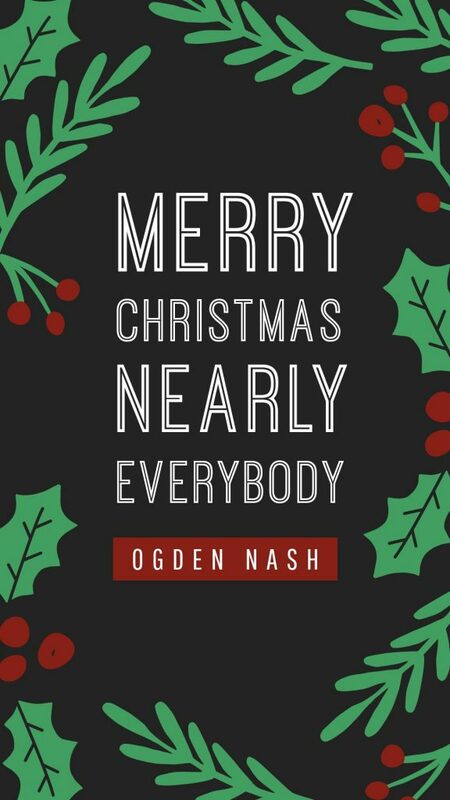 We love this clever quip from American poet, Ogden Nash. Lovers of Game of Thrones will recognise that Ned Stark’s famous words have had a bit of pixie dust sprinkled on them in this Christmas Quote. Just in time for the holidays. Who doesn’t like a bit of wordplay. And the message is sincere. A wonderful reminder that Christmas is not all about presents. Many truths have been said by cartoons. Charlie Brown says these thoughtful lines in Charles M. Schulz’s cartoon strip called “Peanuts”. This is a great quote from Kate Lord Brown’s “The House of Dreams”. It’s a great idea for a holiday social media post to use after Christmas. 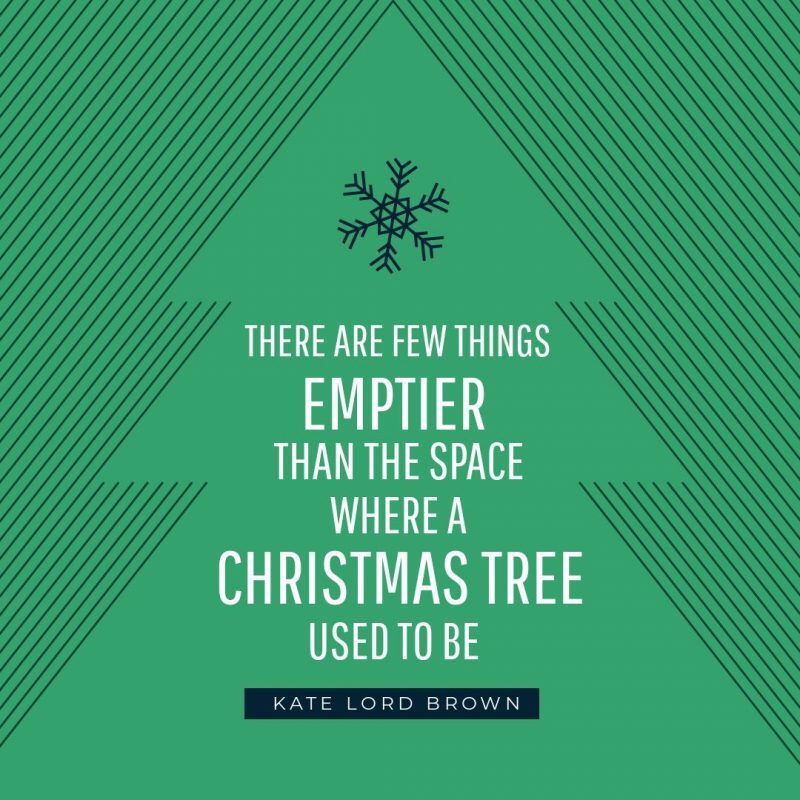 When you post this quote on social media, ask your audience when everyone takes down their Christmas tree! Do you have a treasured Christmas tree decoration? 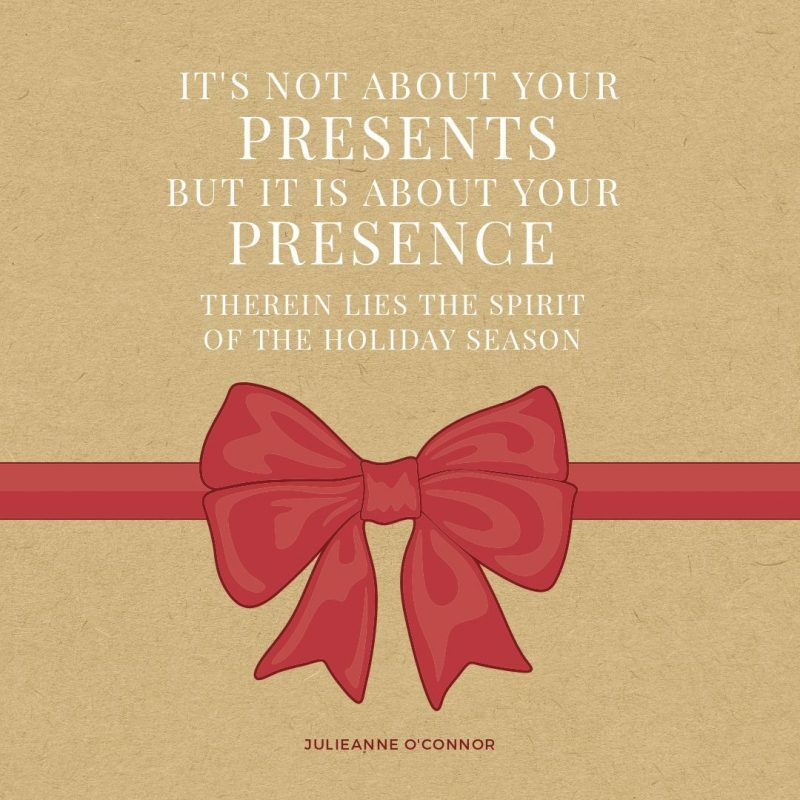 It’s a beautiful quote that can be used together with an image of a Christmas ornament. Share the story on your social media post and ask your community to share their favourite one. 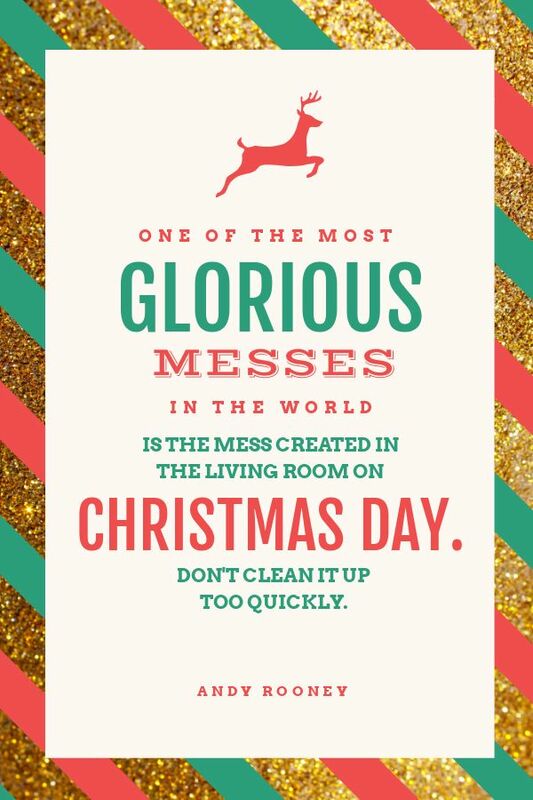 This is a great excuse to ask people to share pictures of their messy Christmas room after the presents have been unwrapped, or the table after the Christmas meal has been eaten. 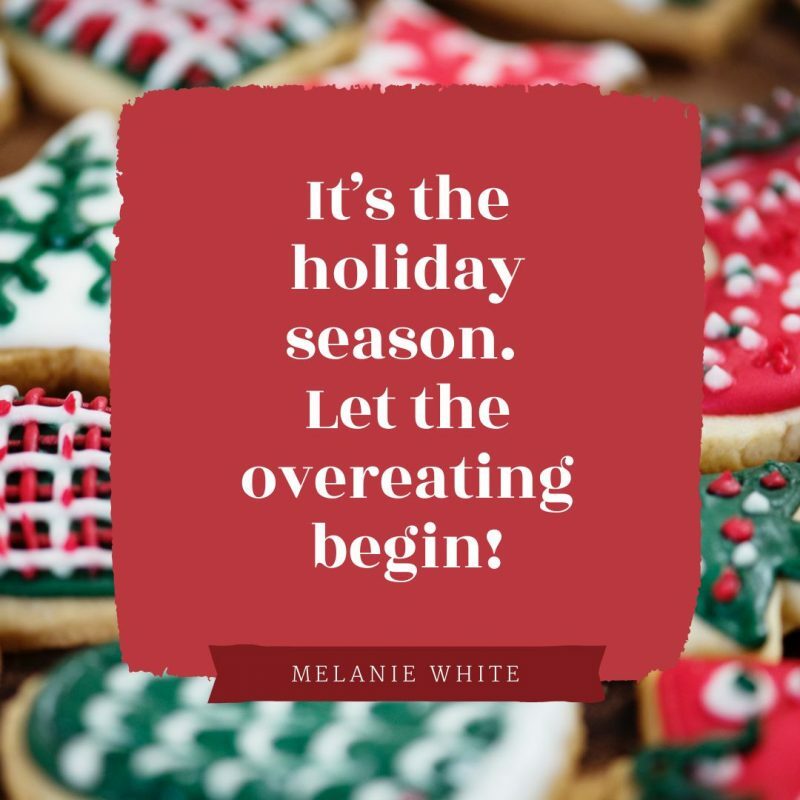 We suspect that most people eat too much in the period of time Christmas, so talking about food is a great way to get engagement from social media posts. 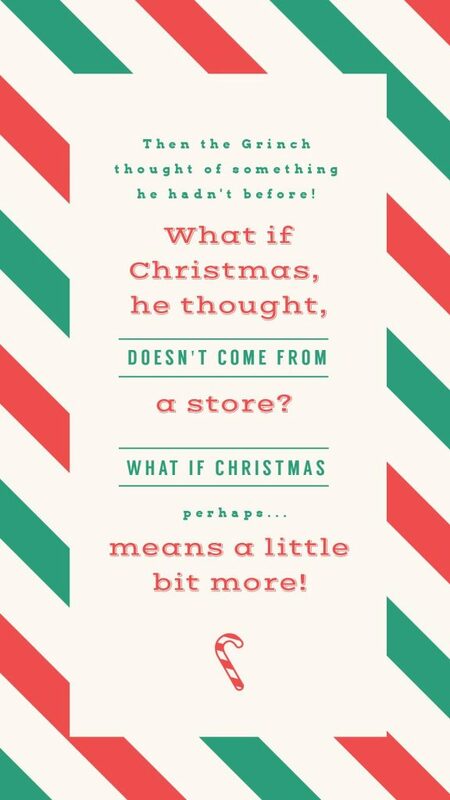 Christmas Quotes like this one about food can also be used to ask people about their favourite Christmas indulgences. 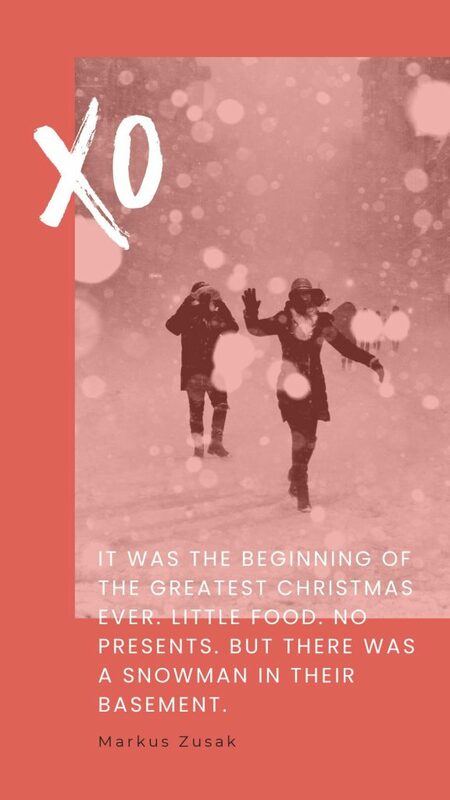 This quote from Markus Zusak’s “The Book Thief” is great for a holiday social media post because it’s a great conversation starter. You can ask your followers about one thing that would make their greatest Christmas ever. 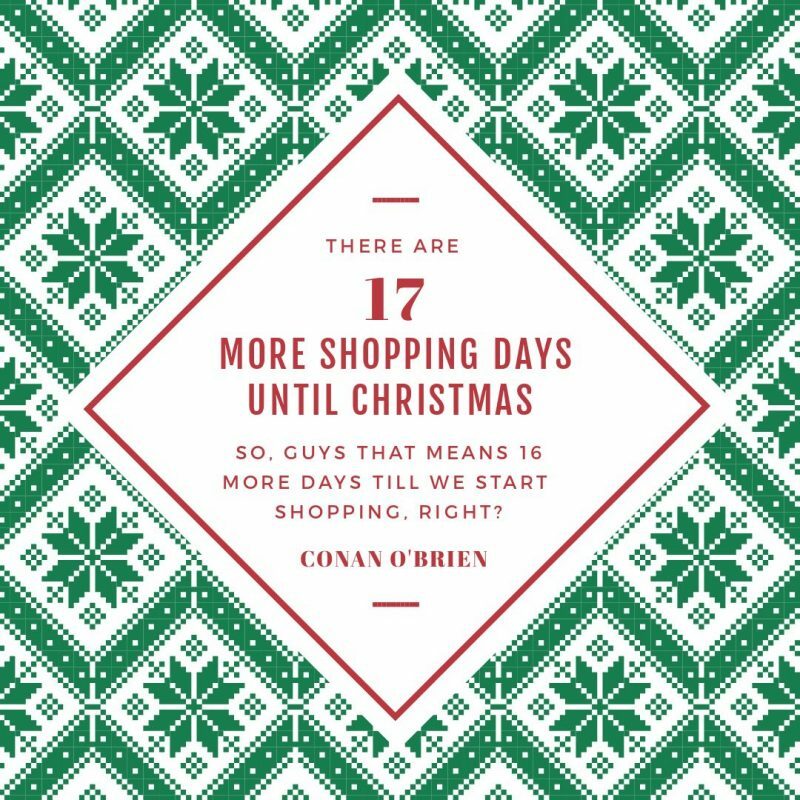 Or talk about spending money at Christmas. Or about simple joys. 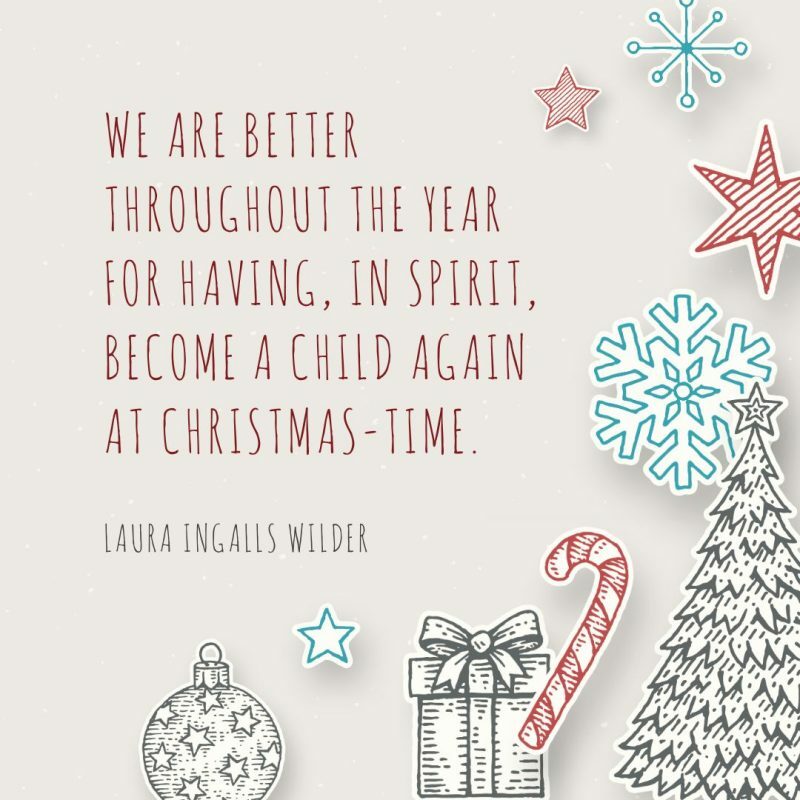 Christmas Quotes like this are good for the holidays to get people talking about their last Christmas or childhood memories. Or you can reserve it for just after Christmas. Ask them to share their memories as a GIF, as a fun way to build engagement with your holiday social media posts. 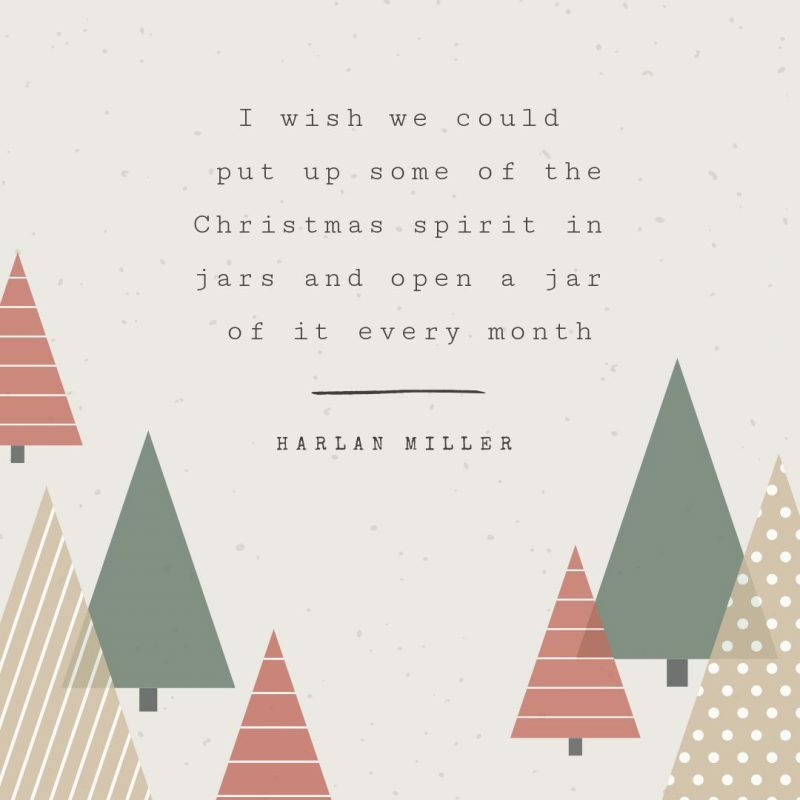 Would you like to preserve a bit of feeling of Christmas? Use this holiday social media post to ask your followers what part of Christmas they would like to stow away for later in the year. And finally, this Christmas classic. How many children have had this poem read to them on Christmas Eve? This Christmas quote is the opening lines from the poem “A Visit from St. Nicholas” by Clement Clarke Moore. 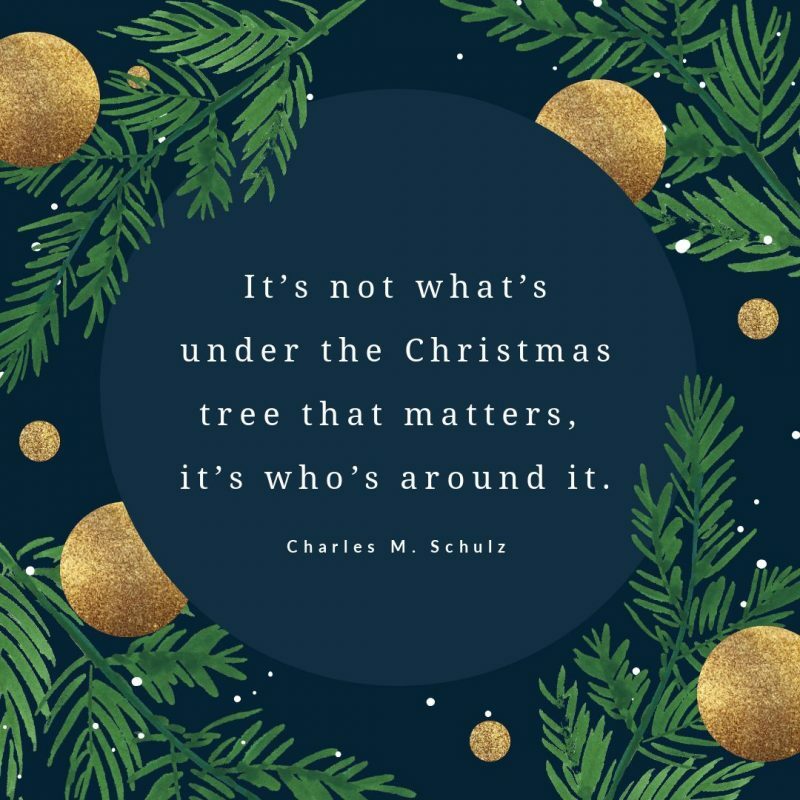 Christmas Quotes like this are great for engagement as a holiday social media post because Santa calls out his eight reindeer names in the poem. Can you name them? Ask your audience if they can! Offer an advent calendar-style treat for your customers each day of December leading up to Christmas. Describe your typical Christmas Day using only Emojis. Describe how your Christmas Day was in a GIF. How do you feel about Christmas? – answer with a GIF. Post your Ugly Christmas sweater/jumper selfie (or T-shirts if in the Southern Hemisphere). Describe Christmas in 5 words. Where are you spending your Christmas Day? What’s your favourite Christmas Day treat? Show us your Christmas tree. Do you decorate your workspace? Share your Christmas Decorations with us. Christmas is the Season of Goodwill: How do you help others over Christmas? Is your Christmas tree this year: Real or Fake? 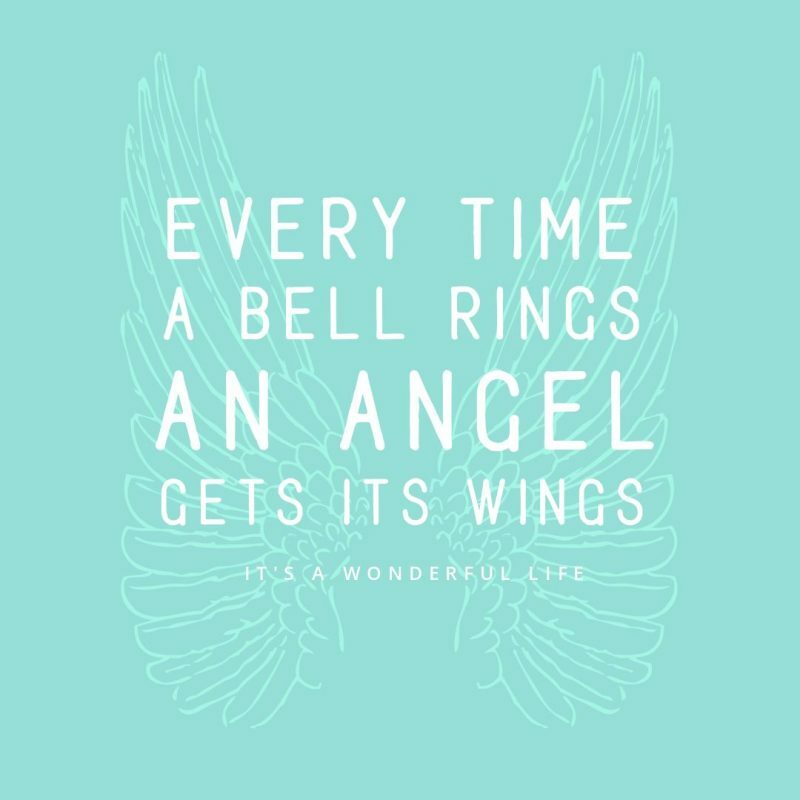 Inspired by these Christmas Quotes? 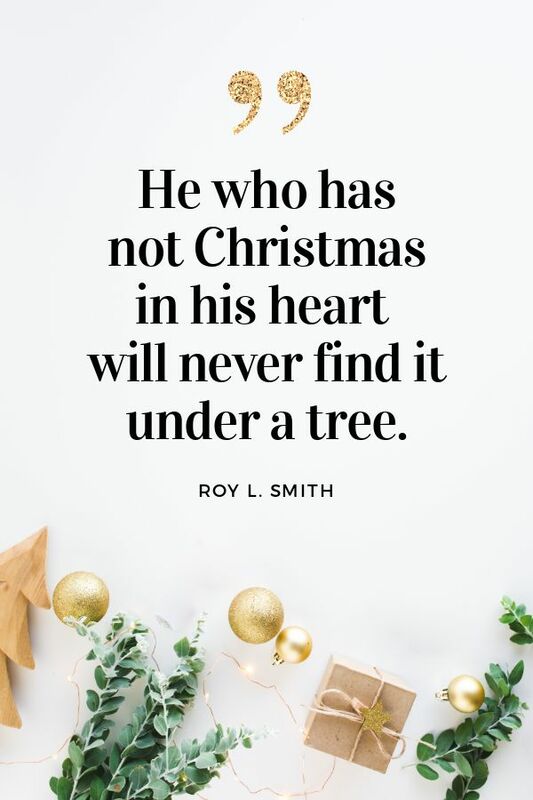 Now that you have so many great Christmas Quotes to create and share (and Social Media Posts to go with them) you’ll have your Christmas posts scheduled and ready to go. Don’t forget to use Easil to create templates. Click any of the template links above to get started in your Easil account. Simply edit the image, text, font and color to create a custom design (and add your logo too if you wish to!). And if you need more December content ideas, check them out here. P.S. Did you spot the eight Christmas song titles in the article? Christmas holds so many memories, whether it’s the holly and the ivy, mistletoe and wine, or carol singing. May this Christmas add many beautiful new ones. From everyone at Easil, we wish you a Merry Christmas and Happy Holidays.